The loss of facial volume can result in wrinkles, lines and folds which can make you appear older and less vibrant. Injectable treatments for aesthetic facial enhancement are non-surgical techniques recommended for patients who have begun to show some early signs of aging but are not yet ready for full surgical procedures. Injectables like Botox, Dysport and Restylane are popular for fit, healthy young men and women who are beginning to see early signs of aging and unwelcome changes in their appearance. These patients often want only minimal procedures. Older patients who are not a candidate for surgery due to medical conditions or other reasons, find injectables such as Botox, Restylane and Perlane an appealing alternative to surgery. 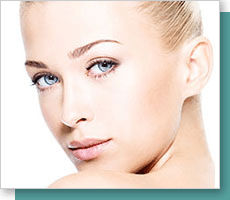 It is important to realize that these non-surgical injectable treatments are not non-medical. Therefore, it is vital to select a trained, qualified physician to administer your treatment. Many practices allow nurses, aestheticians or physicians assistants to perform the injections. At Morea Plastic Surgical Center of North Raleigh, all Botox, Restylane and Perlane are administered exclusively by Dr. Morea who is a Board Certified Plastic Surgeon. Botox, Dysport and Restylane are also frequently administered by Dr. Morea in our Raleigh, NC office as maintenance or touch-up for patients who have already undergone facial surgery. Wrinkles such as crow’s feet, frown lines and horizontal forehead creases are usually caused by repeated muscle contraction associated with facial expressions. Botox and Dysport are both product names for botulinum toxin Type A. These cosmetic forms of botulinum toxin are used to inactivate the muscles that cause wrinkles in theses problem areas. Botox injections will not only smooth certain types of facial wrinkles, but the treatment will also slow the process of further wrinkle formation. Botox/Dysport is administered by Dr. Morea personally in our North Raleigh cosmetic surgery practice. On the day of your appointment, you will first discuss your areas of concern with Dr. Morea. Treatment with Botox involves a few simple injections using a thin needle causing minimal pain. You may need several injections in a small area. You may experience some slight swelling or bruising at the area of injection, however, this can easily be covered with makeup. There is no downtime after Botox injections, therefore, you can return to work or your normal activities right away. The results of Botox/Dysport take 3-4 days to fully appear. Regular treatments every 3-6 months will be needed to maintain your results. 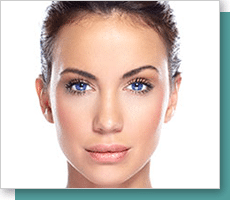 Morea Plastic Surgical Center of North Raleigh offers one Botox/Dysport Day each month. On this specific day we offer these treatments at a reduced charged. Restylane is a safe, natural cosmetic dermal filler made of hyaluronic acid that restores volume and fullness to the skin to correct facial wrinkles and folds. Restylane is also used to enhance lips to make them fuller and bring the upper and lower lip into better proportion. Loss of facial volume is a common age-related problem for many people. It causes the descent of soft tissues, resulting in volume loss in the cheek areas and deep facial lines and folds. Patients who are unhappy with their appearance due to nasolabial folds, marionette lines, lipstick lines or hollow areas under eyes are considered for treatment with Restylane by Dr. Morea at The Plastic Surgical Center of North Raleigh. Many people desire full, shapely and beautifully defined lips. Dr. Morea can improve the shape and proportion of your lips with Restylane giving you an aesthetically pleasing, natural looking result. Restylane treatment can be done quickly and comfortably in our North Raleigh cosmetic surgery practice. Once you have discussed your areas of concern with Dr. Morea, the treatment site is cleansed and prepared for the injection. Topical anesthetic may be used to alleviate pain on injection, however, is not always necessary as Restylane is now formulated with lidocaine which is a numbing medication. Perlane is another cosmetic dermal filler made from hyaluronic acid and member of the Restylane family of products. Like Restylane, Perlane restores volume and fullness to the skin but Perlane is used more often to treat moderate to severe facial wrinkles and folds. Perlane is different because the average size of the particles in Perlane are larger than those in Restylane. Therefore, Perlane is the filler of choice for wrinkles requiring a deeper injection into the skin. During your consultation, Dr. Morea will determine which product would benefit you most based on the depth of the wrinkles or folds in your area of concern. Treatment with Perlane is not significantly different for the patients compared to injections of Restylane. The area to be treated is prepped and cleansed. Topical anesthetics may be applied if needed but are often unnecessary. Perlane is injected by Dr. Morea personally using a tiny needle and syringe. Patients may experience some redness, swelling or soreness that can last up to seven days, but usually about three days. You may have some bruising which can be easily covered with makeup. A cool ice pack may be applied indirectly to the injection site to relieve any discomfort.